Like most traditional media, radio marketing has certainly faced increased competition. New media options like Pandora, Spotify, Sirius XM, iTunes Radio and a host of others continue to chip away at radio’s once-exclusive domain. But traditional radio is still a good media choice for marketing your hospital. Radio is available at home, in the car, at the office and on the go. Even with all of the new audio options, it still dominates in-car listening. And most important to healthcare marketers, the radio listening habits of Baby Boomers has changed the least of any demographic group. Diversity of station formats allow advertisers to target specific audiences. For example, Top 40 typically has a young female audience and provides a vehicle for promoting your hospital’s OB/GYN services. The Oldies format, which attracts listeners over the age of 60, can be effective for reaching prospective attendees of your upcoming Health Fair. News Talk and Sports programming offer opportunities to reach an audience for Sports Medicine and Spine. Radio allows you to reach key marketing areas. Use audience delivery data to determine the stations with the most listenership in your hospital service area by zip code, city, county, or groups of counties. 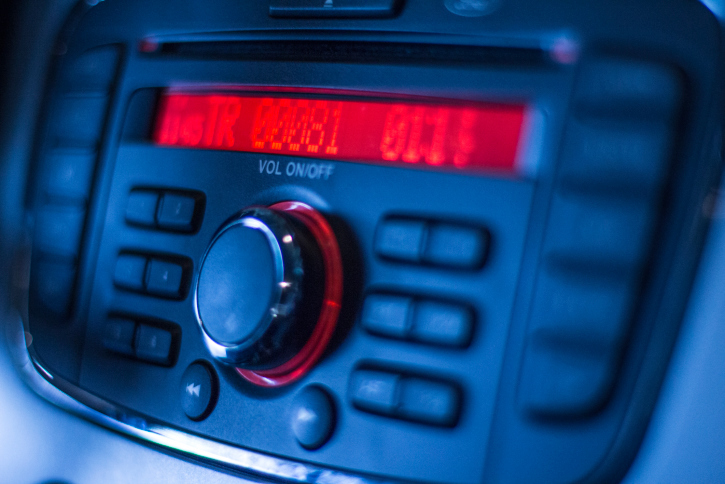 For brands that are known, radio is effective as a “reminder” medium. When part of a multi-media mix, radio commercials increase recall of your hospital’s television, newspaper and Internet ads. Radio is a good driver to your hospital’s website or social media channel. Radio stars in the theatre of the listener’s mind. Voices, music, and sound effects in a well-written radio commercial can evoke powerful emotions. Emotional events like babies born and lives saved are part of your hospital’s story. Radio can take listeners on your journey. Prospective patients need to be exposed to your message multiple times. The relatively low cost of commercials allows for frequency in your schedule. Affordable production means ads can be tailored to the format’s audience. Your branding commercial on the Hispanic station should not be the same one you air on the Country station. Quick production and scheduling means you can adapt to events in your marketplace. If a local emergency creates a need for blood, radio commercials can drive donations. Nationally, radio advertising revenues have declined, but local stations are actually seeing increases in their share of local ad budgets. Radio continues to be an effective advertising medium for many local businesses including hospitals. If you would like to discuss ways to make radio work for your hospital, contact the radio experts at TotalCom Marketing. Digital and Social Media are Important for Marketing Your Hospital. But What About Traditional? Is Traditional Media Still Relevant? There is no doubt that you need to implement a digital marketing strategy for your hospital, but don’t neglect the traditional advertising that is tried and true. According to a recent Nielsen survey, newspaper ads are still the most trusted form of paid media in North America. In fact, over half of those who participated in the survey said they trust traditional channels of advertising such as newspaper, TV, radio, magazines and billboards. On the flip side, over half of the participants said they did not trust the new media platforms, including social media,online searches and videos, and banner ads. While digital advertising is pervasive in our culture, it is not yet considered as trustworthy as traditional advertising methods. In short, to build trust you need to utilize traditional advertising in conjunction with new digital tactics to effectively market your hospital. Most people engage in some sort of traditional media use every day. They listen to the radio on their morning commute, read the billboards they pass as they are stuck in traffic on the drive home, watch TV to relax in the evening and read their favorite magazine while waiting to pick up their child from soccer practice. Sure, traditional media consumption has declined in recent years, but we are constantly surrounded by, and still consume it. Historically, mass media reach was at such stratospheric levels, that even with the decline experienced over the past few years, there continue to be thousands in our markets who are still watching, listening, and flipping printed pages. The 50 plus audience remains a heavy consumer of traditional media. While they are comfortable with and use the internet and social media, Baby Boomers still rely heavily on traditional media channels for news and entertainment. And it’s no secret that this audience is an important demographic for healthcare marketers. Some sources would (wrongly) have you believe that traditional advertising is dead. If that is so, somebody needs to tell the marketing team over at Apple. Apple consistently uses traditional media to promote their products. Google also has a track record of relying on traditional advertising to showcase their latest technological offerings. Perhaps one of the most telling signs that traditional advertising remains significant is that Facebook is now utilizing traditional ads to promote their website! The popular social media site has purchased TV spots and outdoor media in the UK, Canada, and Australia. Facebook is a digital age powerhouse, but still recognizes the need for traditional advertising. If Facebook needs it, chances are your hospital does too. Need help getting back to the basics with traditional media marketing? Call Jimmy Warren.